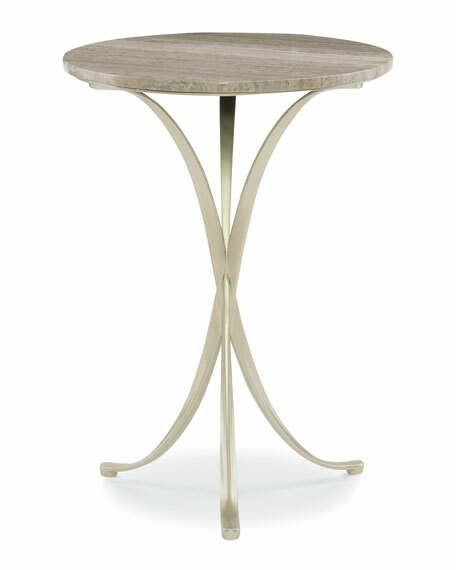 Petite round tables fit anywhere! This small stone and metal silhouette has a gorgeous piece Silver Travertine on top that gives off a natural wood-like appearance. 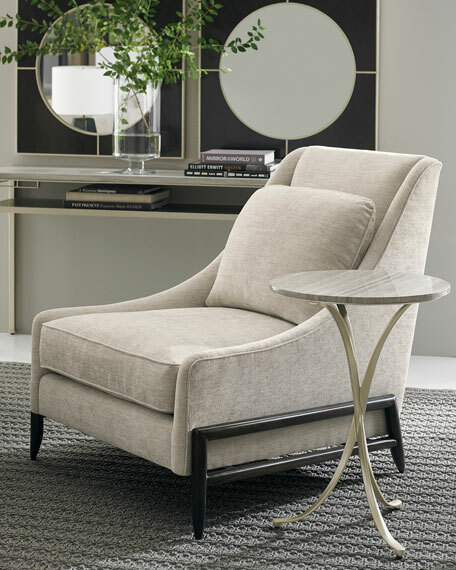 Contemporized with three concave, semicircular, Jazzy Taupe metal legs that are joined in the center, this piece is authentically modern with its clean lines and geometric appearance. Boxed weight, approximately 46.2 lbs.